Unfortunately this event had ‘run out of puff’ by 1969, the entry was decidedly skinny but that shouldn’t diminish Datsun’s achievement in winning and placing second in cars the original variant of which were built by Prince prior to its acquisition by Nissan in 1966. David McKay’s Scuderia Veloce had a mortgage on this race or rather his Ferrari 250 LM ‘6321’ did. It won three times on the trot with Jackie Stewart and Andy Buchanan aboard in 1966, Bill Brown and Greg Cusack in 1967 and the brothers Geoghegan, Leo and Pete in 1968. The first two events were of 12 hours duration, the latter two, ’68/9 six hours. Into 1970 the Twelve Hour was run for Series Production or Group E ‘showroom stock’ sedans, this class of racing was booming in Australia at the time and much easier for the punters to understand than sports prototypes. Datsun (the Datsun name was dropped in favour of Nissan in March 1986) very cleverly used motor racing to build their brand in Australia. The Melbourne based Datsun Racing Team ran cars in Series Production touring car events, Rallies and Production Sportscar racing with Doug Whiteford their name driver, a former thrice winner of the Australian Grand Prix, no less. Whilst Datsun’s prominence in Australia dates from the-mid sixties it is reported that some of its Austin 7 like products were imported to Australia in completely-knocked-down form circa 1937. I am intrigued to hear from old cars folks who have ever tripped over one of these, which truly would be as rare as hens teeth. 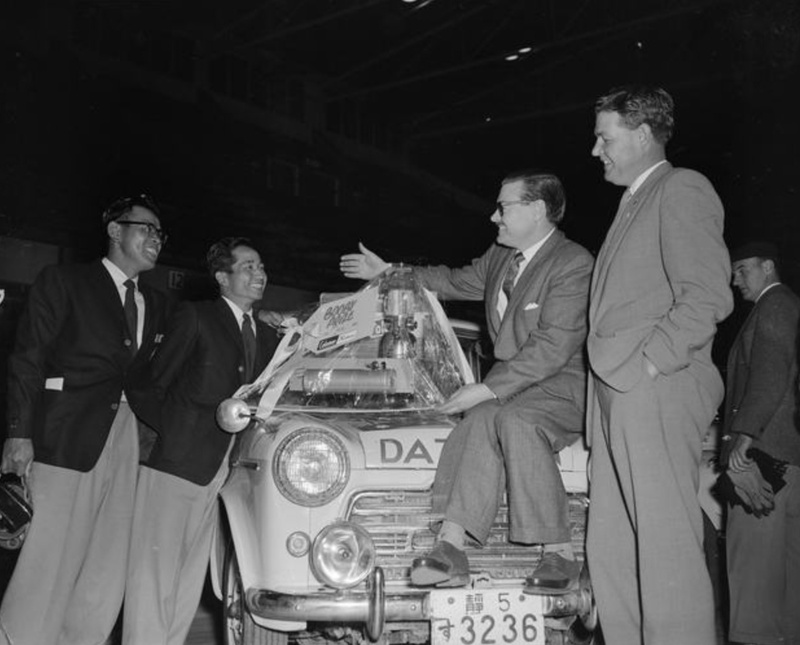 In 1958 a Datsun 1000 also won the under 1000cc class of the Mobilgas Around Australia Trial won outright by Eddie (father of Larry) Perkins VW Beetle. 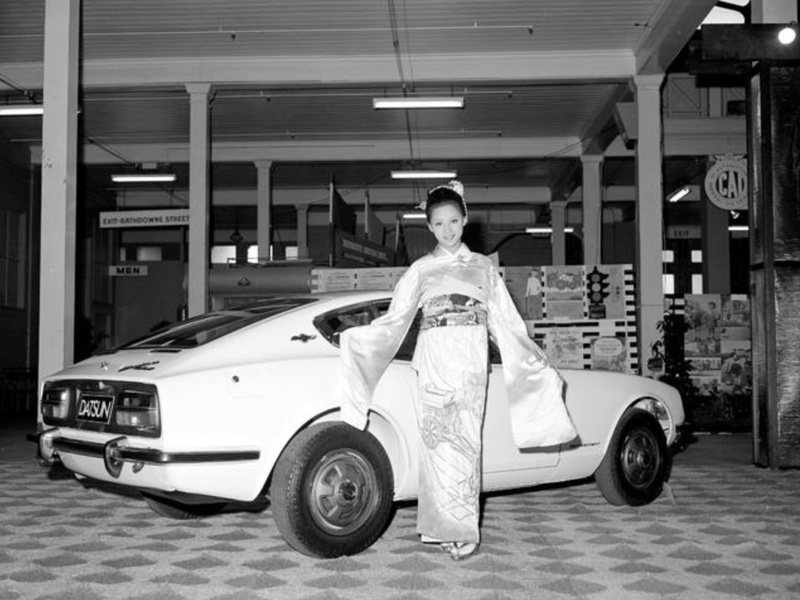 Its interesting to reflect back on the growth of Japanese cars in the Australian market in the sixties given the dominance which followed. It was entirely product driven as their was some animosity, particularly by those of a certain age, towards the products of both ‘The Japs’ and ‘The Krauts’ given the war was only twenty years before. Everybody had relatives who died in theatres of war in which the folks of the above countries fought. Let alone the atrocities committed. It very quickly became clear just what great cars they were- the Mazda 1500, Toyota Corolla and Datsun 1600 to name three. All were vastly superior, than the British equivalents. I was a small Ford guy at University, my car was a Mk 2 Cortina GT. A mate and I useter wreck Mk1’s- they were a popular student car at the time so we pulled ’em to bits and advertised the clobber on the Monash University Union noticeboard. Lots of my Uni mates had Datsun 1200’s 160o’s and Corolla’s all with heaps of miles on them. I drove them and considered them vastly superior to the small Fords or the Morris 1100/1500, Austin 1800, poverty level Holden Torana’s and the like. The first Honda Civic, circa 1972, was a revelation, I couldn’t believe how good it was compared to the competitor set. So, it was no surprise why, at the price point, prejudices were put to one side by our parents a decade before as they bailed out of BMC, VW, Holden and Ford products into stuff made in the Land of The Rising Sun. They were put together rather well, some had a flash overhead camshaft, let alone rear ends (sometimes) using other than cart springs and had carpets and car radios as standard equipment for chrissakes! 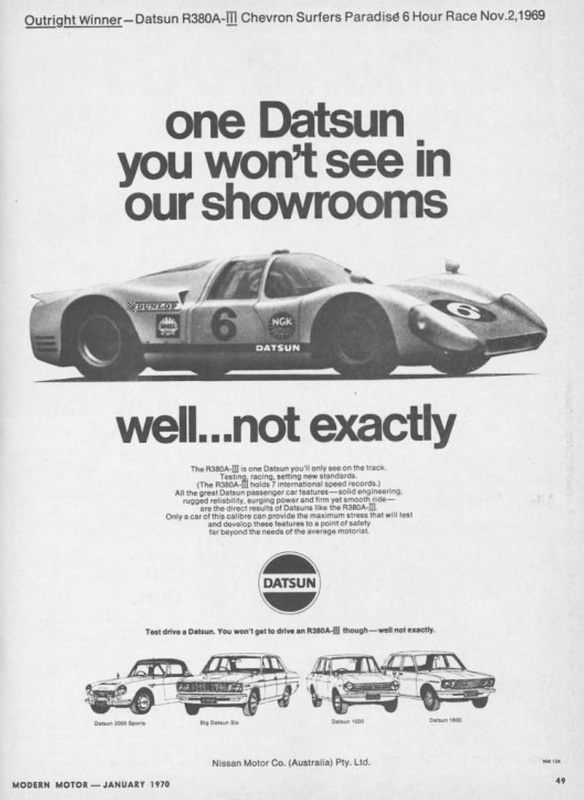 By the time Datsun raced in the 1969 ‘Chevron Paradise 6 Hour’ the brand was well known in Australia. Amongst enthusiasts Datsun went up two gears in perception with the release of the 240Z in 1969. Ok, it owed a nod or three to the E Type but what a stunning car it was. Never did quite buy one but drove several and was amazed at how good for how little they were. The first R380 was borne of Prince’s failure to win the 1964 Japanese Grand Prix at Suzuka with its modified S54 Prince Skyline GT. A Porsche 904 took the win, Prince did come first in the Touring Car class however. 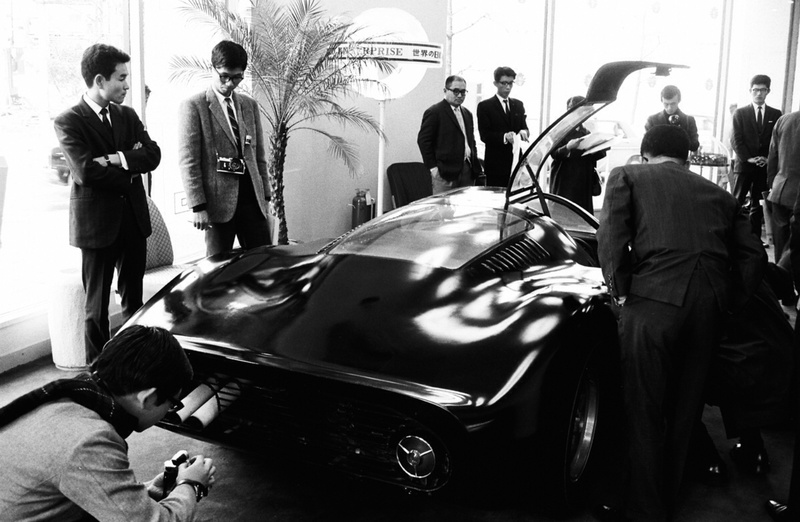 To go one better in 1965 engineering head Shinichiro Sakurai resolved to build a sports-prototype. Given no-one in the company had any experience of this type of car a used Brabham BT8 open sportscar was acquired which enabled the team to unlock Ron Tauranac’s secrets and reverse engineer them. 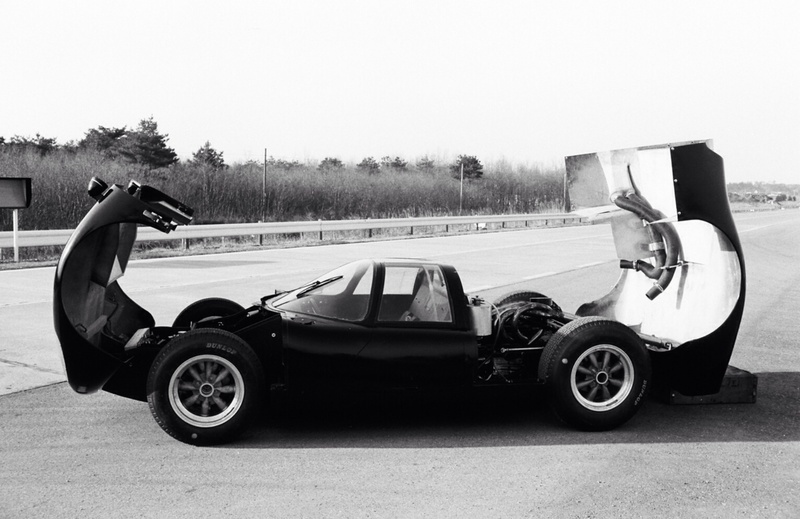 A multi-tubular spaceframe chassis was constructed and curvaceous aluminium coupe body, a Hewland 5 speed transaxle was a key component and a bespoke racing engine built. The ‘GR-8’ six cylinder, DOHC, 4 valve engine was an oversquare aluminium design with a bore and stroke of 82X63mm giving a capacity of 1996cc. Fed by three 42DCOE Webers the unit produced 200 bhp @ 8000 rpm. Brakes were Girling, the car weighed a relatively hefty 615 Kg. See below at the end of the article a Nissan factory table with detailed specifications of the design as it evolved from 1965-1969. The first R380, as the car was designated, was finished in October 1965, in time for the 1965 Japanese GP but the event was cancelled! Undeterred, all dressed up but with nowhere to go, Prince chased speed records. 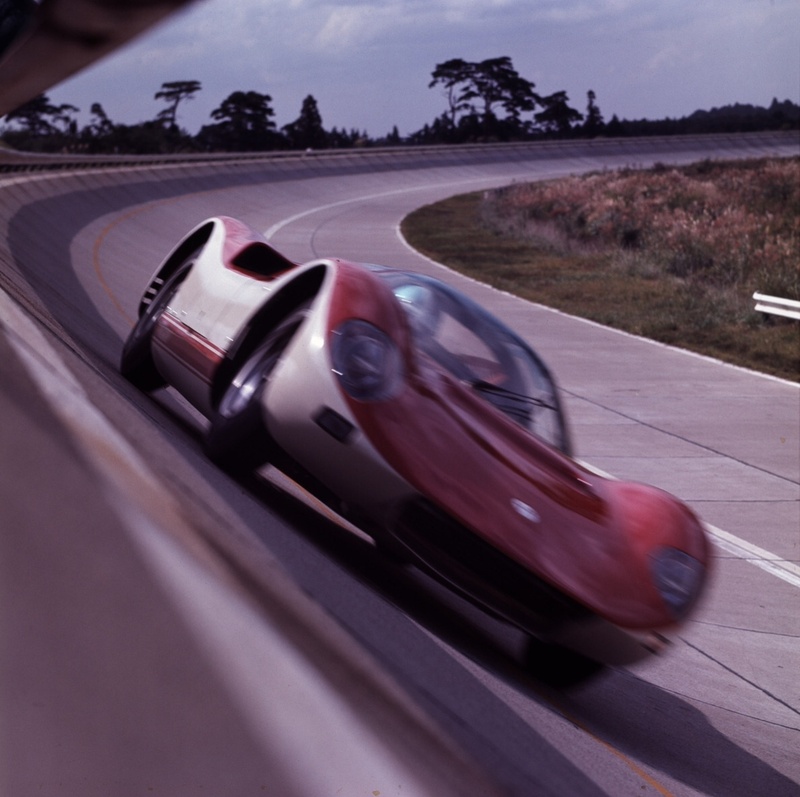 The car, driven by Yukio Sugita, a Prince test driver, at the Yatabe Test Track on 6 October 1965 took several Japanese records in Class E over distances of 50, 100 and 200 Km at 233.33, 234.69 and 234.93 km/h. Prince was absorbed into Nissan in 1966, the new parent was delighted to inherit the cars and its team and put to one side a similar racing project in its early planning stages. Nissan upon taking over the project modified the cars bodywork to be ‘more flowing’ with vents and ducts also refined. Some extra power, a bit more than 200 bhp, was extracted from the engine. This car, designated the R380A-2 ‘Type 1’ weighed 660 Kg compared with the 615 of the original. Porsche returned with one Carrera 906 to the 1966 Japanese GP at Fuji. Despite the R380 being heavier and less powerful than the 220 bhp German car the team of four modified R380A-2’s triumphed taking first and second places, the winning car, #11 above, was driven by Yoshikazu Sunako. Modifications included changes to the track which was widened front and rear. The engines power was increased from a bit over 200 bhp to 220 bhp @ 8500 rpm in part by fitment of bigger, 45 DCOE Weber carbs. ZF gearboxes replaced the Hewland transaxles which were designed for sprint, rather than endurance use. Whilst the wheel size remained at 15 inches, wheel widths widened and tyre widths, in keeping with tyre development at the time, increased by 20 mm at the rear. 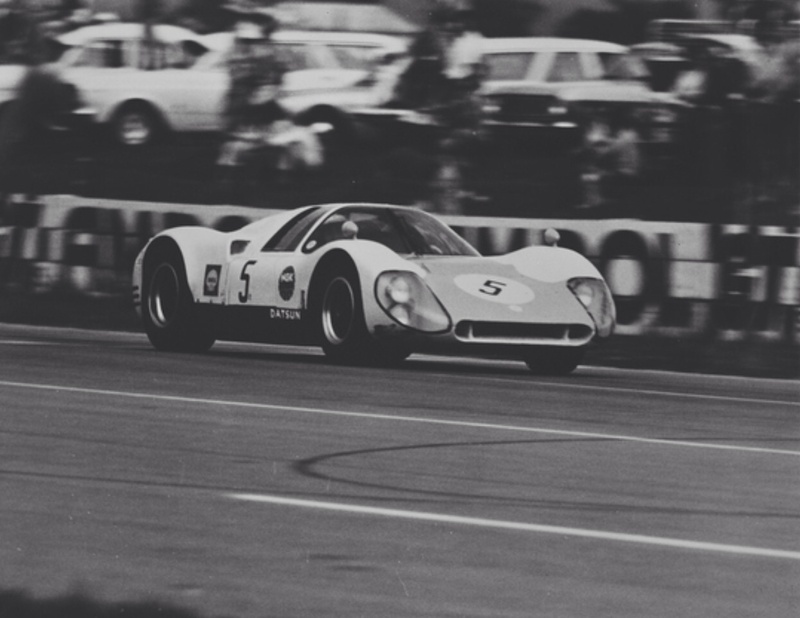 Despite these upgrades in specification of the cars, now designated R380A-2 Type 2, Porsche took their revenge in 1967, with Japanese driver Tetsu Ikuzawa (above) winning the Japanese Grand Prix at Fuji in one of three 906′ entered. The R380A-2’s placed 2nd/3rd/4th/6th. In that October further land speed records (above) were set with the cars, this time both Japanese and International records. The earlier land speed record attempts in 1965 whilst setting Japanese records were not International marks as the Yatabe course was not FIA approved. Two years later the course was duly certified and Nissan again went record hunting on 8 October 1967, this time T Yokoyama of the Nissan Racing Team was the driver. Seven new International records were set with speeds between 250.98 km/h for the 1 Hour to 256.09 km/h for 50 Km. For 1968 Nissan developed the R381 open Group 7 sportscar (powered by a Chev 5.5 litre 450 bhp V8) which won the 1968 Japanese Grand Prix in the hands of Moto Kitano, #20 above. 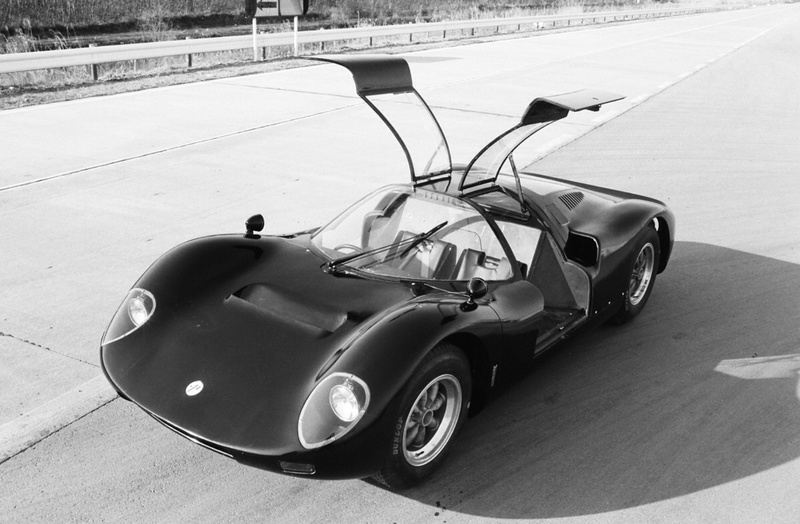 But development also continued on the R380, creating the R380-3 Type 3. Changes to the car involved longer and further evolved, heavier body work. Despite changing to fibreglass from a mix of aluminium and fibreglass the cars now weighed 660 Kg, up from the 640 of the year before. The engine now produced 245 bhp @ 8400 in part due to the adoption of ubiquitous Lucas fuel injection in place of the faithful Webers. Tyre widths also, of course, grew. By this stage some of the R380’s were in the hands of privateers as Nissan focused on their more powerful cars. Three were entered in the 1968 Japanese Grand prix yielding 3rd/4th/5th places. Nissan developed the R382 as its frontline tool for 1969, a sensational 6 litre V12, 600 bhp open Group 7 sportscar, which again won the Japanese Grand Prix, the driver this time, Moto Kurosawa with H Kitano second. These amazing cars (R381 and R382) are stories for another time, the photos are a tease! Oh for them to have raced in the Can Am in the respective years! Timing is everything, and the timing in a corporate sense was not right even it was from an enthusiasts perspective. The two cars, entered for the 1969 Surfers 6 Hour were Nissan Motor Co works entries designated R380-3. The bodies were a little longer than the year before at 4210 mm compared with 4080 mm. The car was 20 Kg heavier, now 680 Kg and 5 bhp more powerful, so a total of 250 bhp @ 8400. In that sense the cars brought to Australia were the ‘ultimate’ R380 specification. It would be interesting to know what became of them. The winning car crewed by Takahashi/Sunago completed 257 laps from the 2nd placed sister car of Moto Kitano and Motoharu Kurosawa on 253 and then the Brisbane Lotus Elan of Glynn Scott/Joe Camilleri/Ann Thompson on 236 laps. The Lotus 47 crewed by Sydney drivers Bob Beasley and Brian Davies was 4th with 233 laps. Not to forget the 5th placed Datsun Racing Team Datsun 2000 of Doug Whiteford/John Roxburgh/Barry Tapsall, 231 laps. 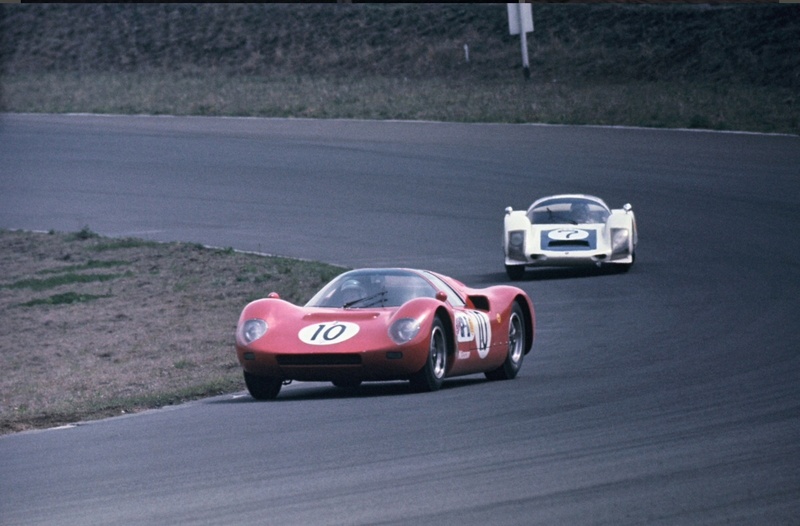 The R380’s raced on into 1969 and 1970 taking 2nd in the ’69 Fuji 1000 Km and 2nd in the 1970 Fuji 200 mile event. Interesting cars aren’t they and as occasionally happens, a topic I tripped over looking for something else. Not sure if I’m correct or not, but I’ve had the photo of the R380 and Porsche 906 listed as Takahashi in the Nissan and Sakai in the 906. Racing Sports Cars corroborates this – I think, if I have the date of the race right. Excellent article Mark with some spectacular images. Thank you. It’s a while since I wrote that article, I realised last night I haven’t really finished all the captions- thanks for the spot re Tetzu, will use that site to assist! And the images are stunners!, I agree. Firstly just a small correction to Takahashi-san’s first name. It is Kunimitsu. He is a legendary driver with Le Mans podiums and numerous Japan GT and touring car victories to his credit – mostly in Honda machines. Secondly some info on the old rally car pic. It was actually Nissan’s first motorsport victory outside of Japan. The driver Namba-san (note spelling) was also a legend as he established and headed NISMO until retirement in the late nineties. I was privileged to meet him several times. The car still caked in NT mud was on display in the NISMO showroom 40 years later! I believe his co-driver Bruce Wilkinson is seated on the bonnet in that pic. Bruce established Datsunspott & later Nissansport in Melbourne in the sixties. Great to have your insights and corrections. I wrote it a while back and found it an interesting but challenging topic to tackle in that I knew NOTHING at all about the cars other than that I had heard of them. It is amazing at 60’ish to look back on the rise and rise of the Japanese industry in Australia, and globally of course, at the time. Owned 3 Prince Skyline GT”s. Two 64-65 4 speed and a 67 5 speed. Paid about a $1000.00 each.Sold the early ones to Neil Sullivan as parts cars for his Group “N ” cars. The 67 went to Bruce Combe, that was fitted with a ex speedway Red Holden engine and Mazda 5 speed.and LJ Torana rear axle. I think he blew the diff at Collingrove. In those days you couldn’t give the cars away. Now they are selling for silly money. !! c’est la vie. I really don’t know anything about Prince beyond the R380 article- maybe the innovative nature of the company is exactly why Nissan acquired them?